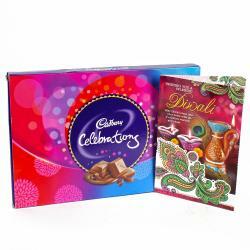 Product Consists : Cadbury Celebration Chocolate Pack (Weight : 140 gms) along with 2 Acrylic Square Shaped Diya with Tealight wax candles. 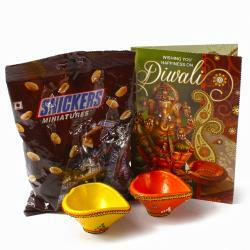 Convey your Diwali wishes to your loved ones through this exclusive Chocolate hamper. 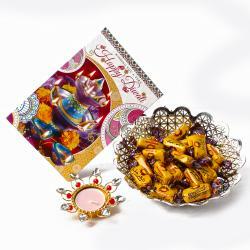 This relishing hamper of chocolates includes Cadbury Celebration Chocolate Pack which brings more happiness in your life. 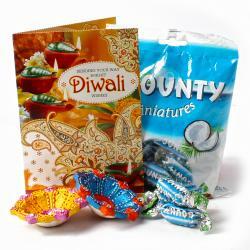 The diyas are filled with wax and is ready to add enormous glow on the Diwali Eve. 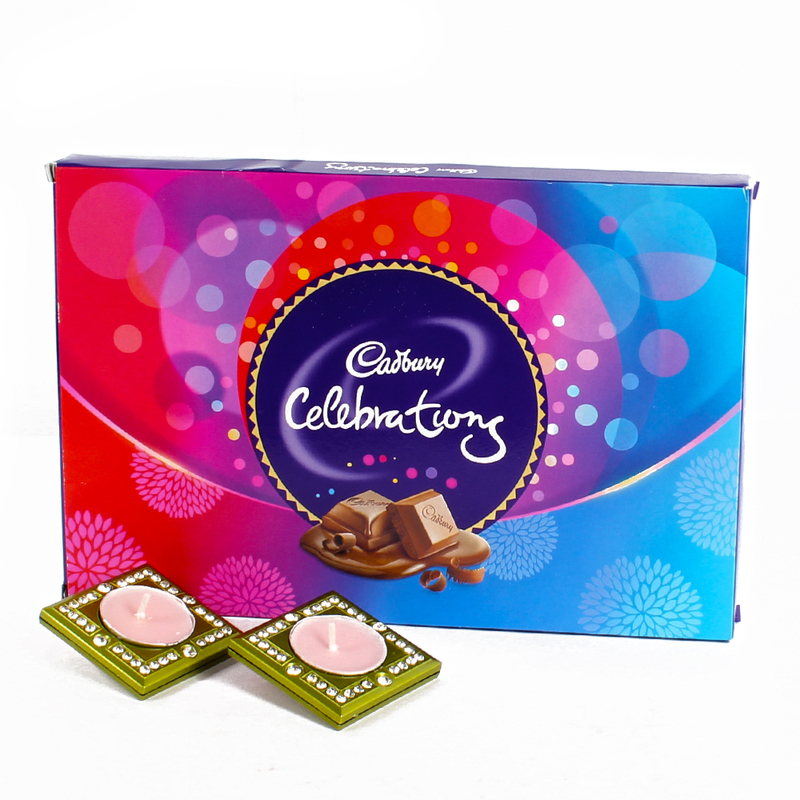 This hamper includes : Cadbury Celebration Chocolate Pack (Weight : 140 gms) along with 2 Acrylic Square Shaped Diya with Tealight wax candles.